The dutch-norwegian vocalist and composer Jessica Sligter received glowing reviews for her previous album «Fear and the Framing» and for her debutalbum released under the moniker Jæ. «A Sense Of Growth» is by far Jessica´s best and most adventurous album so far. The varied, bold and more abstract sonic surroundings suits her songwriting and both intimate and dramatic presence extremely well. «A Sense of Growth» was recorded in Seattle and was produced by Jessica and Randall Dunn (Marissa Nadler, Akron/Family, Earth) who also mixed Jessica´s last album. Eyvind Kang on viola and bass (Mr Bungle, Animal Collective, John Zorn) is one of many contributing musical guests, and has also written string arrangements. There´s more synthesizers involved this time around, but Jessica’s characteristic vocals remain the primary focus. Both the arrangments and the overall sound of this album is more complex, adventurous and showcases Jessica´s accomplished production skills. Since her previous album Sligter has done many different collaboration projects and written commissioned works together with amongst others Susanna and Jenny Hval. Jenny Hval is also contributing with vocals on two tracks on the new album. Several songs on the album was originally written for a concert Jessica did with Susanna at Henie Onstad Art Center in 2014 for the exhibition «We live on a star». The song «Mercilessly Clear» is based on a Harry Martinson’s novel/long form poem «Aniara». High drama from the Netherland´s grenre flouting singer-songwriter. Jessica Sligter is Dutch-born, Oslo-resident, records for a Norwegian label and is obviously unconcerned with the barriers. Her third album under her own name – she previously recorded as Jæ – is her most expansive to date, features strings, analogue synthesizers and was recorded in Seattle. Traits remain though: her voice´s sudden shifts from the declamatory into the whispering intimate; melodies which could be torch songs or performed in Weimar cabaret. More forthright than ever, the A Sense Of Growth Sligter is uncompromised by standard forms of song. Mercilessly Clear adapts the writing of Swedish Nobel Prize-winning poet Harry Martinson and sets it against a fragmented musical bed which latter-day Scott Walker would admire. The title track has a wonky seesaw Kaw-Liga rythm over which an unfettered Sligter sings of living her dream. Strange and theatrical. Charming and unique too. Bewitching third offering from Dutch-Norwegian singer-songwriter. A Sense Of Growth is a fitting title for this electro-folk artist´s third album, given the boldness and complexity she brings to each new project. It sees Sligter in fine voice – there are shades of Liz Green in her mournfulness and melodrama – and taking in electronic and blues folk, avant-pop and, on “The Smoking Tree”, improv and spoken word. “Mercilessly Clear” seems to step out of music altogether and into the realms of installation art. If that sounds a bit much, Sligter has reined in her more extreme creative impulses to provide a fluid, compelling and boldly imaginative piece of work. 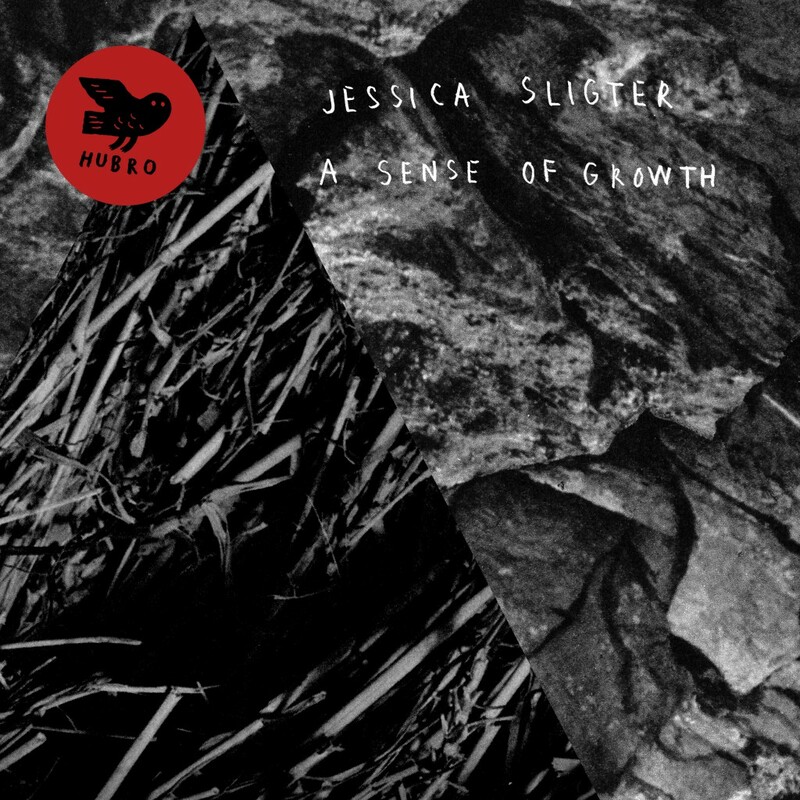 Vi börjar med vad som inte kan kallas för något än en popskiva för vårt århundrade, Jessica Sligters tredje album, ”A Sense Of Growth”, men som också påminner om de cirklar i cirklar som den kvalitetsmedvetna delen av det norska musiklivet kretsar kring. Eyvind Kang finns med här, Jenny Hvals röst är gäst, en del av låtarna skrev Jessica tillsammans med Susanna (som sedan tiden med Susanna and the Magical Orchestra sällan behöver säga efternamnet ”Wallumrød”) för en konsert på Henie Onstad Art Center i Oslo (som också har en egen, utmärkt skivetikett med spännande, företrädesvis elektroakustisk, musik, Prisma Records). Sammantaget blir det en tveklös popmusik för andra öron än de enkelt sökande, stor variation beroende på varierad musikerbesättning (det är m å n g a gäster på skivan), Jessicas röst är den röda tråden, textmaterialet hämtat från olika källor, både hennes egna och det oväntade men välfunna valet av ett snitt ur Harry Martinsons science fiction-diktverk Aniara, nu fast förborgat i genren kanon.